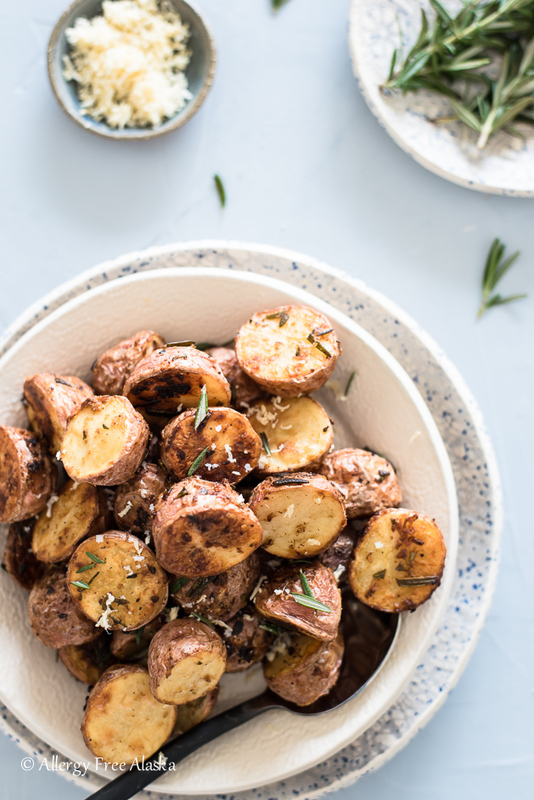 These Oven Roasted Horseradish Dijon Potatoes are a side dish my family all loves. 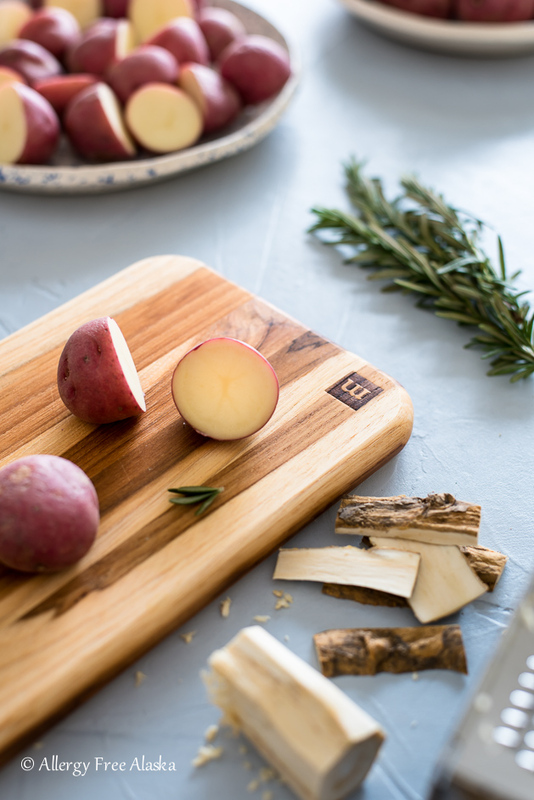 When I had the opportunity to collaborate with Potatoes USA, I decided it was the perfect time to share this recipe with you. 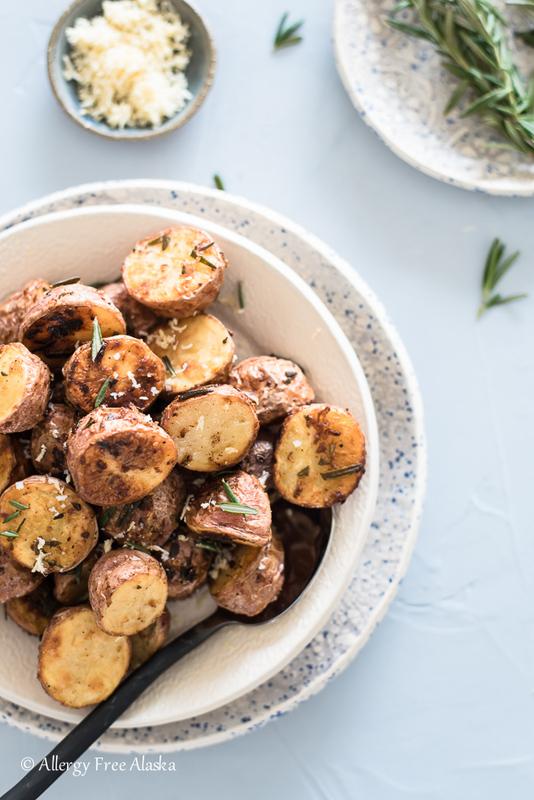 These gluten-free crispy Oven Roasted Horseradish Dijon Potatoes are a super tasty and convenient side dish. Made with just a few ingredients, you won’t believe how delicious these are! 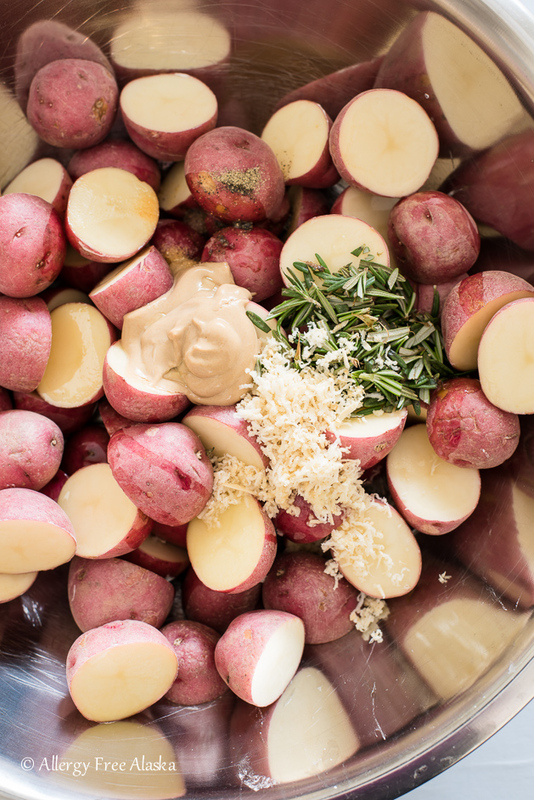 Red potatoes are naturally slightly sweet, perfect for pairing with tangy Dijon, fresh horseradish, and flavorful rosemary. Potatoes are cost effective, and convenient. They are a staple food in our home, and in nearly every cuisine in the world. I almost always have a bag of potatoes on hand and I bet you do, too. This recipe requires only a handful ingredients, and while it does take 45 minutes to roast in the oven, you can get it in the oven in a matter of minutes. There is very little prep time needed. Oven roasting the potatoes gives the illusion of frying. The potatoes come out of the oven golden brown and crispy, yet the inside stays soft and creamy. 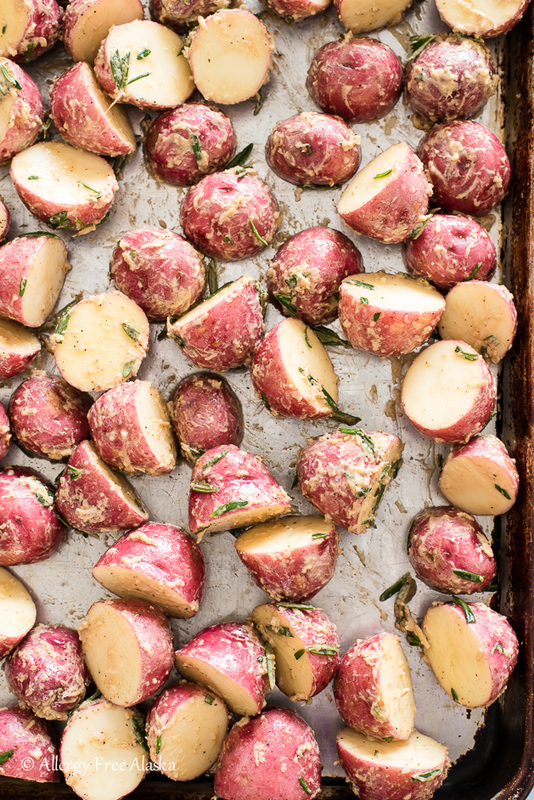 These Oven Roasted Horseradish Dijon Potatoes are a versatile side dish. You could easily pair them with any protein, like with this Gluten-Free Grilled & Marinated London Broil, or this Lemony Cedar Planked Salmon, or this Bacon Wrapped Pork Tenderloin. For more Potato Goodness, check out Facebook. 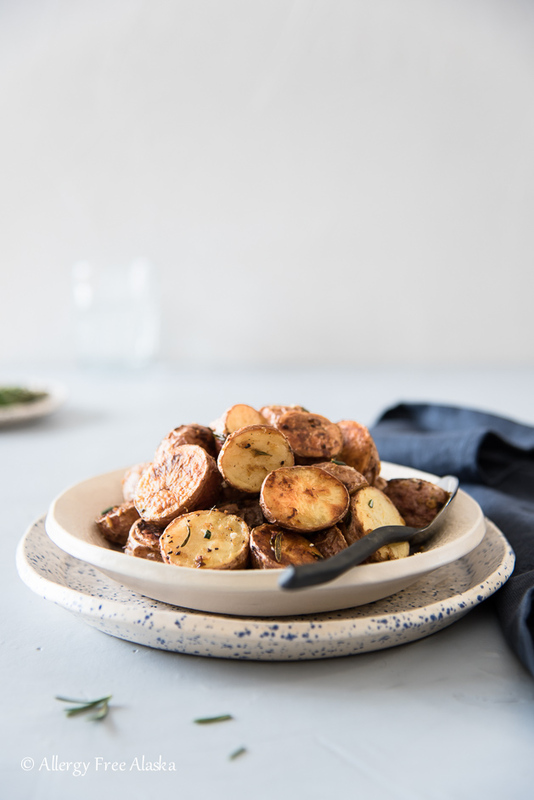 These gluten-free crispy Oven Roasted Horseradish Dijon Potatoes are a super tasty and convenient side dish. 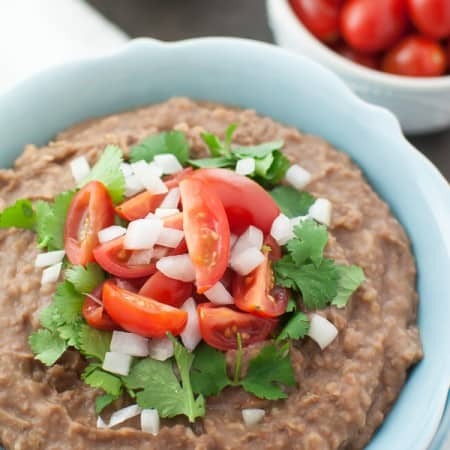 Made with just a few ingredients, you won't believe how delicious these are! Place the mini red potatoes in a large mixing bowl. Bake for 45 minutes, or until the potatoes are golden brown, stirring once every 15 minutes. Serve immediately, and garnish with more fresh grated horseradish. These look great, Megan! Always nice to have more potato recipes on hand! I totally agree, Jeanine! Thank you! These speak to me! The perfect side dish! I love love love horseradish so I know I would LOVE these potatoes! Yes! I’m confident you will! Thanks Allyson! I’m always getting stuck on sides at dinner. You just solved my problem, thank you! These sound so flavorful!! 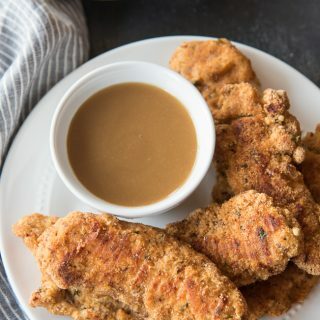 I love how easy these are to make without compromising any of the flavor! So good!! Anything flavored with horseradish has a key to my heart! I bet the horseradish adds such an awesome kick! Oh, those sound fabulous, LOVE the addition of the horseradish! Thank you, Kimberly! Me too! I am in love with how simple these are to make. Put horseradish on anything and I’m drooling! 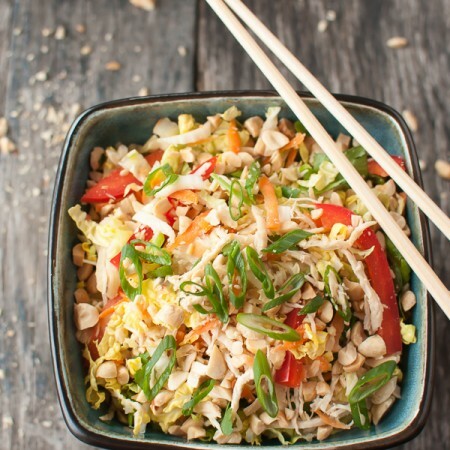 Great side-dish recipe! I’m right there with you in regards to the horseradish! Thanks Jenny!